“Reaching New Heights”. Each year, The International Institute for Trauma and Addiction Professionals holds their annual symposium. 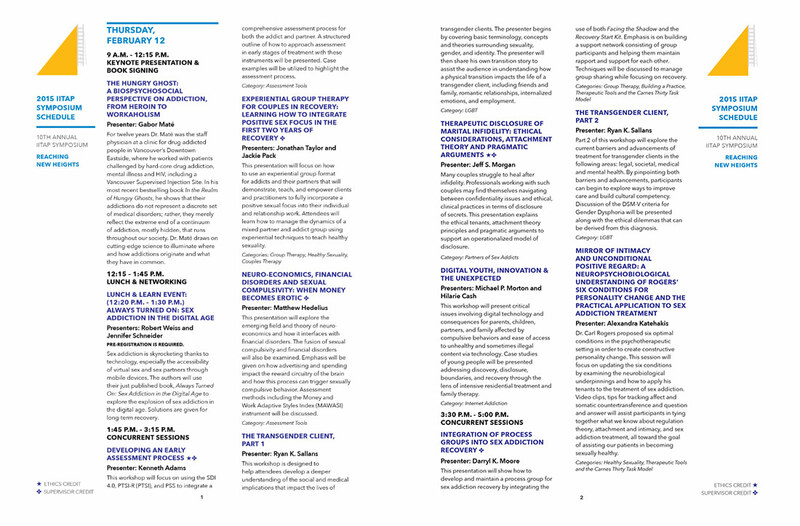 Each year, The International Institute for Trauma and Addiction Professionals holds their annual three day symposium. The theme for this symposium was “Reaching New Heights”. 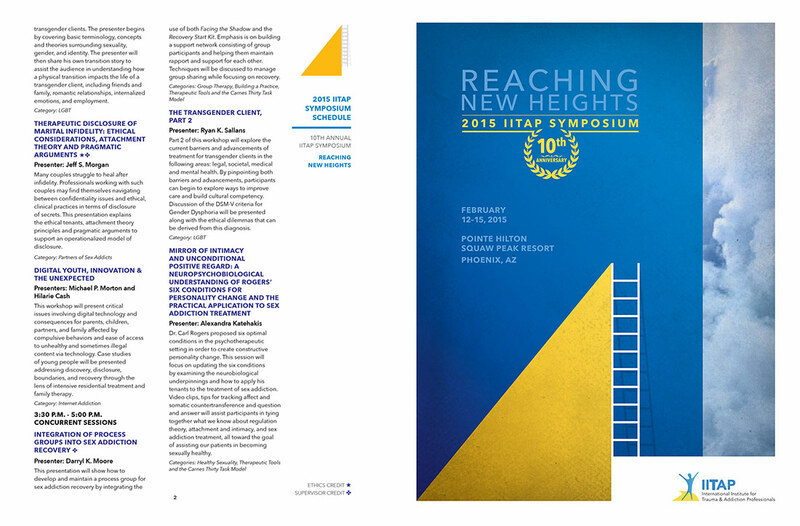 Our task, to design the IITAP symposium brochure design and schedule and have IITAP carry this theme across all mediums. To produce a brochure concept that could be implemented across all of IITAP Symposium branding and literature. All of the work presented here strives to develop distinctive branding components that are easy to implement and recognize for their in-house department to reproduce each year, if necessary. The oversized brochure was designed in a way that meant the expectations of the iiTAP brand while observing the sensitive nature of the subject matter by using calming colors with minimal bright color in order not to generate too much emotion. The interior pages display various lectures and events for the symposium.